Well. Not *really* big. There were plenty of women taller than me or the same height. But, buildwise? I am HUGE. I went from a medium here at home to an Extra Large in China. As mentioned, I only took one pair of shoes with me to China. Good, comfortable walking shoes purchased days before I left. They started coming apart at the Baltimore aiport. By Day Four, I was seriously worried about them lasting me until the end especially because we had a trip planned to the Great Wall (never made it). I managed to get a quick repair on the street for 8 RMB (a little over a $1 US). Please don’t think I found this guy on my own! I showed my shoes to the concierge and he walked me outside and up the street to this man. 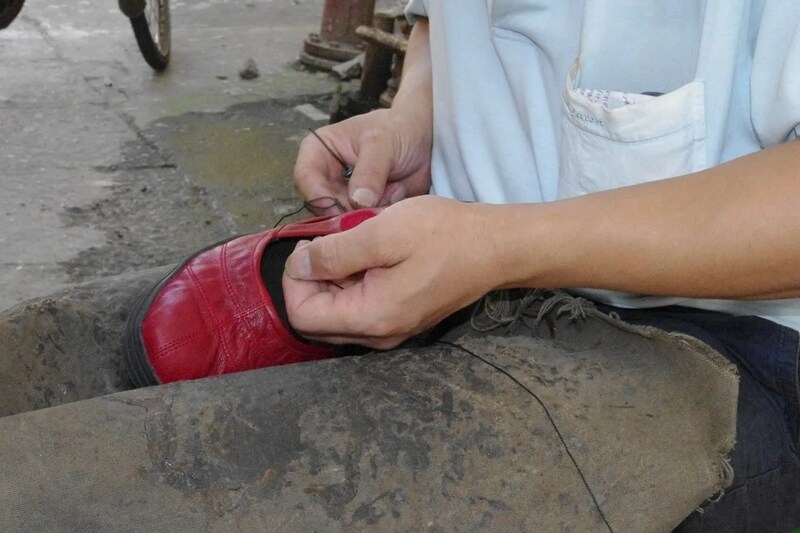 He operated out of a cart and hand stitched the sole back to the upper leather shoe. 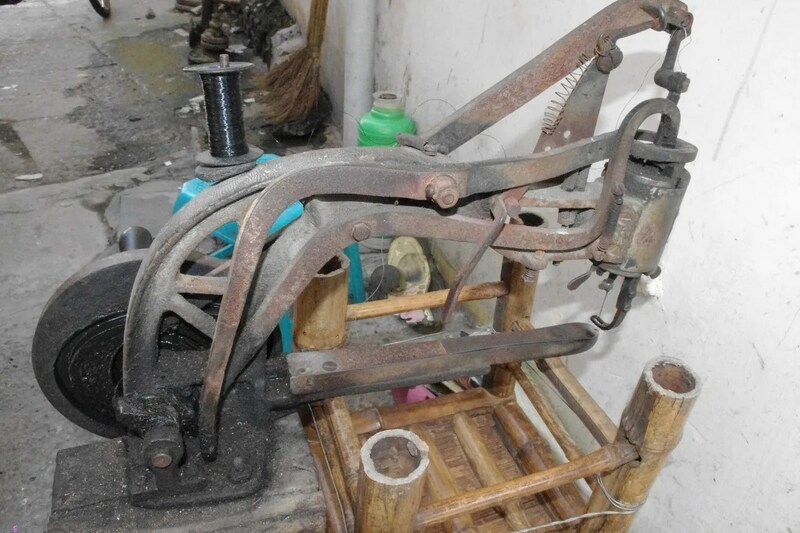 I loved his sewing machine complete with a stool for customers to sit on. 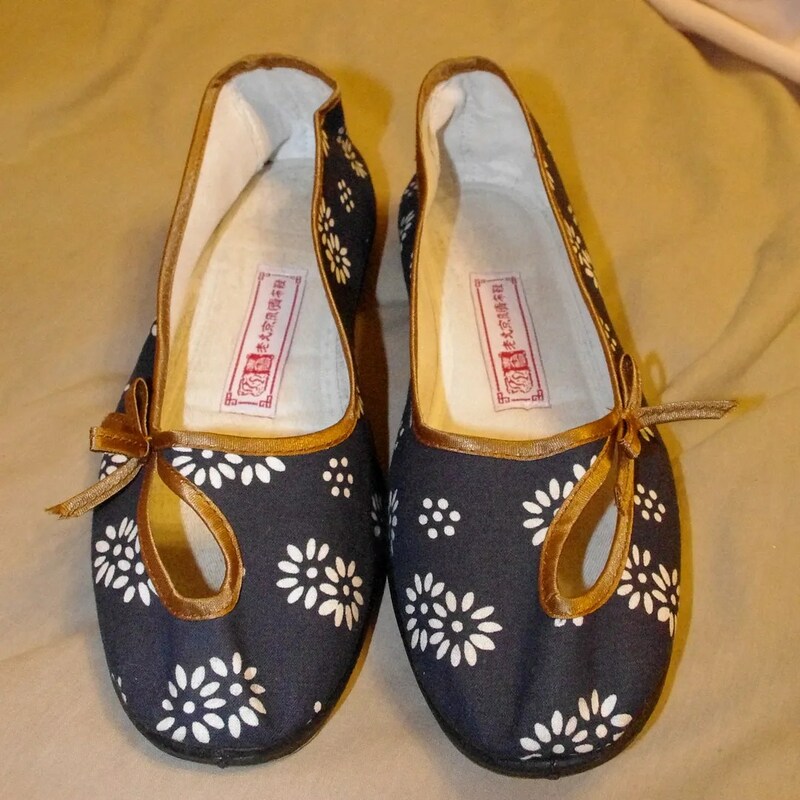 And, since I had a new traditional Chinese dress, I thought newer shoes were mandated. Especially because our college-age interpreters made a face when I told them I was going to wear my red shoes. I bought these in a European size 40 (about an 8.5 to 9 in US sizes). I had to visit two stores before I found one that even carried my size! And even then, the sales clerk looked really doubtful. These shoes are beautiful. But, cotton. I’m almost afraid to wear them! They were $10 US on sale. Elizabeth accidetnally left her suit behind in Shanghai and needed a new dress in Xiamen. They had her size. In an Extra Large. Some dresses we looked at and before we could ask for our size, the poor sales clerk would just shake her head ‘no’. I also indulged after falling in love with this shift dress. Also, an Extra Large. An XL with unmatched plaid. I have got to pay more attention in the store. 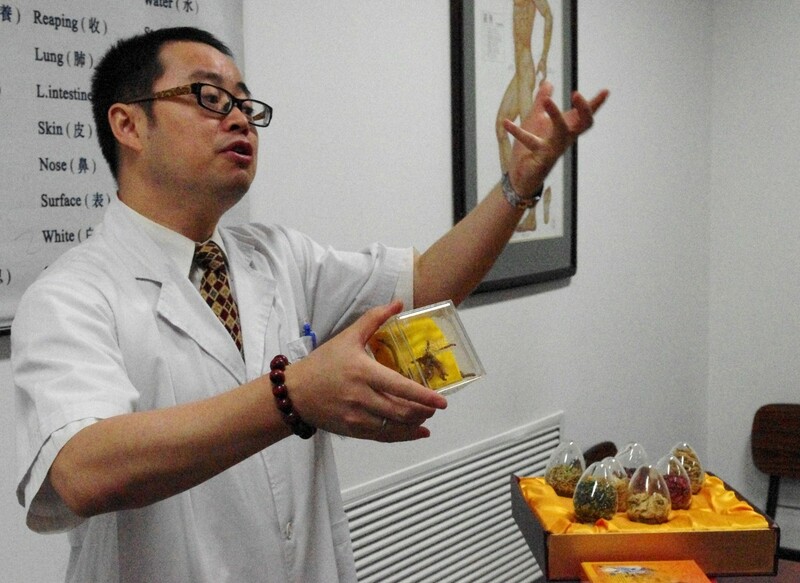 Part of our tour in Beijing included a stop at a traditional Chinese medicine doctor. For 20 RMB (about $3 US) you can get a 10 minute massage. This doctor’s specialty is reading pulses. They say they can diagnose anything through your pulse. He felt my pulse and told me through the interpreter that I had bad circulation which was impacting my sleep and aggravating my tendinitis. I asked for a little something to help with weight loss. I mean, if we’re engaging in magical thinking, I’ll take a pill that helps me lose 10 pounds. He told me I didn’t need to lose any weight but I needed to take a two $90 a month supplements of 20 pills at each meal to help my blood circulate better. $180 a month for some ground up roots and seeds. I passed. Well, this post generally concludes my travel blogging for China. Overall, it was a pretty amazing trip. And, it truly came at the right time for me. I welcomed the distraction. I left home in the middle of summer and now it’s cooling off and feels like fall. Time to start thinking and blogging about sewing again, eh? Thanks for following along this series and all of your comments of support. I’m always a little conscious of blogging ‘off topic’ and I’m glad you let me turn this blog into my travel journal. Blogging about other things than sewing is welcome. It is cool to see how you relate so much to sewing that it is never irrelevant. Just keep it up! That’s terrible about your shoes, I’d be so mad! I’ve really enjoyed your China posts a lot. I love your China posts. Very interesting!! Thanks. Your blog is great! I check for updates all the time at work. It was nice to hear about China. Almost feel as if I was there. I enjoyed all your China posts very much! Thanks for sharing. I was really surprised that you found shoes that would fit, and they are adorable. And the size thing: Americans, even those like yourself who are NOT overweight, are big people. We have the good fortune of good food and nutrition (when we choose to avail ourselves of it), good medical care (again, when we have access) and over the couple of centuries, we have gotten bigger and healthier. Anyway, loved your posts, and you knew we’d be interested. Think of us as a coffee klatch, who met through a common interest, but of course we’d be interested! Blogging can’t be sewing all the time. Plus, a trip to China must be shared. Tnx for posting! I enjoyed the posts about your trip to China, it sounds like you had a very interesting trip, and I’m living vicariously through your adventure! 😀 Love the cute cotton shoes, but I would be scared to wear them outside of the house. And I can’t believe you can get a massage for $3!!! I wish we could get that here! Ok, I’m not a fan of the nail polish posts, just because I’m not a nail polish girl, but I’ll always stop by to read any posts where you let your engaging and unique voice shine through. These fish-out-of-water posts have been great. I wish I was a book agent and could figure out how to package you, R.
Wear those shoes and I’ll bet you start visiting your local chinatown shops to find them again. I have worn the little cotton shoes for years, and at the price you can replace them when they wear out. I wore them one year on a river rapids trip and everyone else had to put on wet tennis shoes in the morning, but not me…the cotton shoes dry out in a flash and provide just the right amount of sole traction. LOVE the shoes! I would’ve tried to buy more at just $10!! (Although I guess with feet our size that’d be a limiting factor.) I’ve enjoyed reading your China posts and I’ll admit I’m a little sad this is the last one, lol. I usually don’t mind when bloggers go “off-topic”, and I don’t know of many readers that do, so don’t worry too much about it! You have me cracking up about the mismatched plaid. I love your blog and considering that I love to travel, I have enjoyed all your posts about travel as well. I’ve enjoyed the China posts, too. It’s been fun visiting there vicariously through your blog! I’m happy to go back to your regularly scheduled posting, but I have & do enjoy your asides. I am sorry this is the last China post, I have enjoyed them tremendously. As one of my favorite bloggers, you could write about just about anything and I would enjoy it, but I have LOVED your China stories. Are you kidding?! LOVE when you travel blog – you are the best! I traveled to Vietnam in HS, so I understand the feeling of hugeness when approaching clothes (when I was in Indonesia my friend warned me away from even thinking about trying to buy anything). I would look for their biggest sizes and hold them up, thinking there was no way. One time they physically pulled me back into a hidden changing room in their market stall and made me try on a dress – nothing makes you feel big and white and awkward like 3 Vietnamese ladies pulling off your clothes to show you that if you pull the skirt high enough on your belly it really will fit. Of course after all that trouble I had to buy it, but it’s not so comfortable and a I have to be on guard about the snaps popping open on the top each time I wear it. Thanks so much for sharing your adventures in China, I read all of the posts and enjoyed every single detail. This whole series of posts have been wonderful. I mean, this blog is always wonderful, but I figured I’d delurk and say something. Love your Chinese shoes! 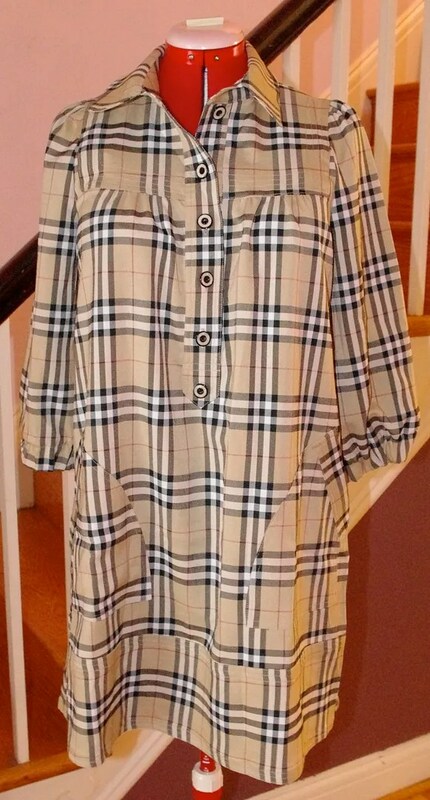 The Burberry dress is awesome – that placket is a design feature NOT the plaids not matching up! 🙂 I, too enjoyed the China travelogue, cause that’s the closet I’m ever gonna get to going! *LOL* But I’m especially glad that you had a wonderful adventure! Thanks for writing about your China trip, I’ve loved reading your posts. Your viewpoint on any topic is always interesting. This was a fascinating series of posts with some really interesting photos too, thanks for taking the time to share it all. I haven’t commented on your individual China posts but I wanted to say your travel posts are among my favourite. I enjoy them so much! So many people talk about the “sites” they saw while travelling. What I like about your posts is you talk about how you felt, the food, the toilets (LOL! 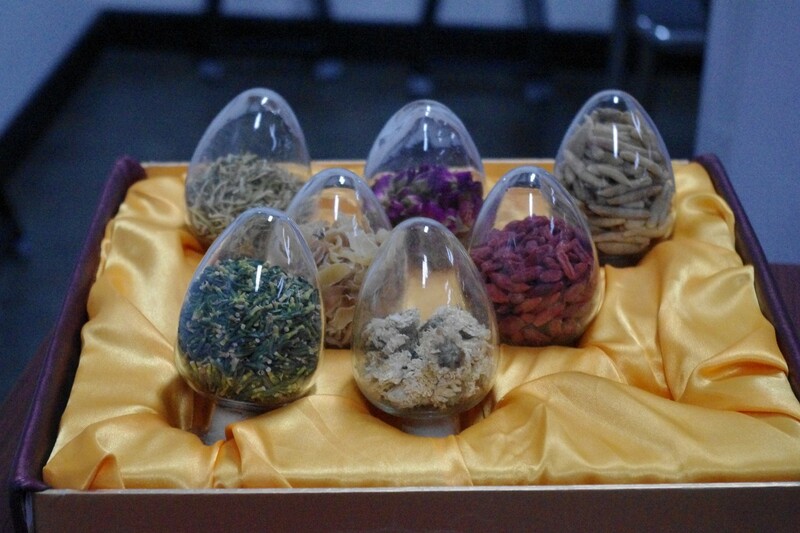 ), the medicines, the culture, the shoe repair guy. 🙂 I feel like you take me in your bag where ever you travel. Thanks! Thanks for sharing all this with us. It has been very interesting. I love your China posts! It’s always interesting to hear someone’s travel stories. My husband’s nephew in the Czech Republic is studying Chinese and has spent a lot of time there. 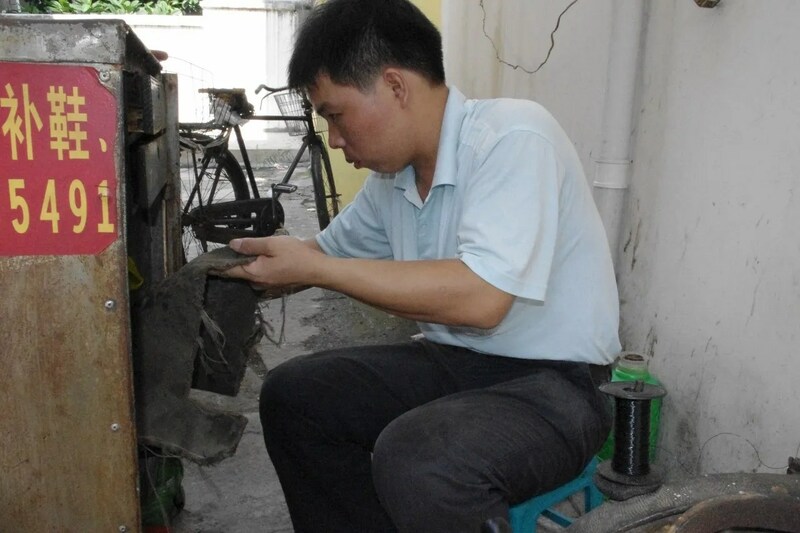 He speaks fluent Chinese and has stories about being ripped off by vendors even ‘though he speaks the language. 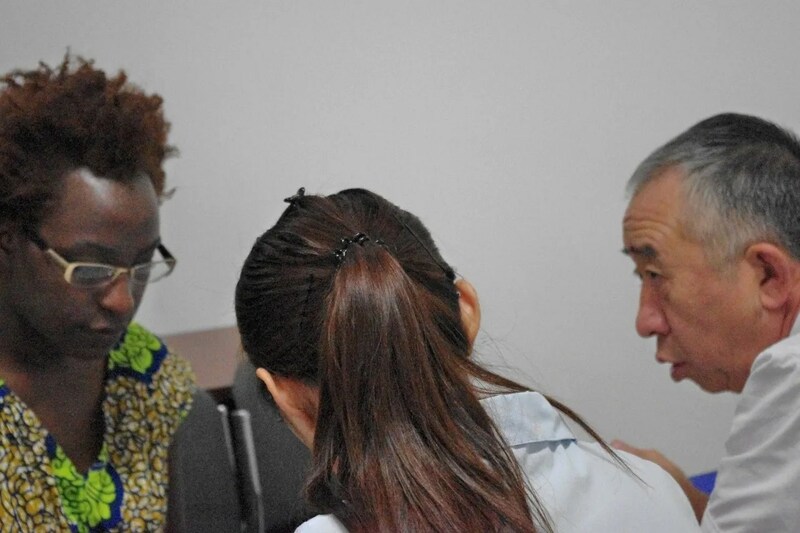 He has also visited more remote parts of China and the people have never seen a “white” person and want to touch him. Your stories of how you were stared at reminded me of something I had almost forgotten from my hometown. I grew up in a village in what was then a farming county. It was primarily white and most folks came from families that had settled there a while back. Now this didn’t happen every time and I was always a little unsettled by it. It was like my hair was freaky. All I could see is how much I had in common with these kids, and it felt like all they could see was my hair. Thankfully people stopped pointing by the time I was of age to really hate it. Yeah, in my hometown we all shared the same race, but more than that, we shared a good many of the same ancestors. Certain features were common, others were not. I know that you were in a city, but is it possible that they regionally shared so many genes that they might even consider someone from another part of China to be “different.” And then you walk in someone from a whole different race and nation. You must have been so worn out when you got back. Regarding feeling huge-my FIL was a football player in college and is a BIG man! He and MIL went to Hong Kong years ago, and all of the tailors tried to measure him for suits-no one could reach all the way around him! LOL!At 6 1/2 feet tall, he towered over everyone, and my MIL is around 5′ 8″ herself-they both said they felt like the biggest daisies in the bouquet! I’ve enjoyed reading about your China trip. It’s always an eye-opener reading how other parts of the world live. Thank you so much for sharing your China experience! I loved reading about it and seeing all of the wonderful photos. The custom dresses look amazing! I’m another lurker who has been avidly reading your blog for a long time …. and I don’t even sew! Your ability to see the humour in almost every situation is such a breath of fresh air. Thank you for making me laugh out loud and giving me a big heads up on the need for people with size 9 feet to travel overseas with at least 2 pairs of shoes. Hey, your blog says “I travel.” right there at the top, so I think it is very appropriate, as well as very interesting. I knew a guy in college who told me about his trip to China with his family in the 1980’s. His parents are big, blonde people, he himself is 6’2″, his brother is shorter but at the time had long blonde hair down his back, and his sister has flaming red hair and freckles. An ordinary family in the U.S., but in China people stared at them everywhere they went. Oh, and I heard this story from a coworker. She went to Italy with a friend who has pretty large feet. They went into a shoe store and asked what they had in her friend’s size. The shop clerk said, “Maybe the boxes?”! I enjoyed your journey to China posts and thanks for sharing. The markets kind of remind me of the markets in Mexico, and the salesladies do grab hold of you and don’t let go! Once in the big Mercado I bought a pair of capris. I said the XL would be fine, but when I got back to the condo, I realized she had switched it to the XXL. Good thing! LOVED all your China posts!